Abundant Life Church is inviting everyone to come to its 23rd annual Super Saturday Kids Carnival and Family Fun Day to be held from 11 a.m. to 2 p.m. Saturday, Aug. 24, on its grounds at 7305 E. Furnace Branch Road, Glen Burnie. Everything is FREE! The church presents this event each year as an act of kindness to the community. The outside carnival atmosphere will include pony rides, a petting zoo, more than 25 midway games, the enormous Black Ops Obstacle Course, 18-foot Big Kahuna Water Slide (wear your bathing suit and bring a towel, you will get wet! ), a 32-foot Rock Wall, 5-in-1 3D Luau Moon Bounce and a dunking booth. The Anne Arundel County Fire Department also will have some of its engines on display. Inside our air-conditioned building you will find face painting, a “tattoo” parlor, hair salon, Kinect, JustDance, and caricatures. Costumed characters will be there to take pictures with you. You can also visit our Community Connections downstairs where several community organizations will be offering free services and goodies. 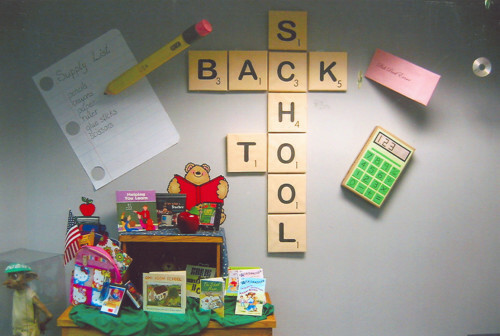 In 2012, we partnered with Anne Arundel County Public Schools to give away school supplies. We had a record of over 3,500 people attend the event and were able to give away over 1,300 bags of school supplies. AACPS, with its various services, will be joining us again this year giving away free school supplies, first come, first-served. Free lunch and refreshments including hot dogs, popcorn, sno-balls and ice cream will be provided. Free parking is provided. There is limited parking at the church, but a number of community partners are offering their facilities for satellite parking lots. People and signs will guide guests to these locations throughout the community from which free shuttle service will run from 10 a.m. to 3 p.m.
For more information call the church at 410-761-9075 or visit www.abundantlifechurch.us.